After leaving Danbury, Thomas and Chrissie became licensees of The Bell Inn. 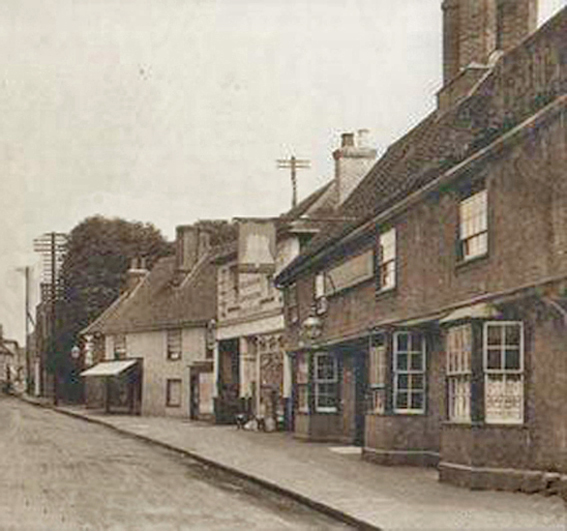 The Street Ingatestone. The Register of licenses shown below dates from 1889 and names Thomas Langman as holder of the license. The Langmans second child Henry Westlake Langman was born here on the 20th January 1889. A copy of the Birth Certificate is shown above. 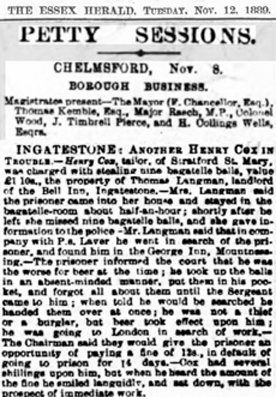 The Bell at the time the Langman's were landlords.